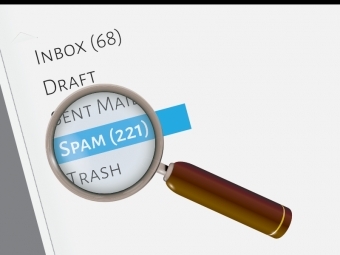 Organizations should create a CASL compliance program to reduce the risk of sending electronic messages that could be considered SPAM. The Canadian Anti-Spam Law (CASL) was designed to protect Canadians from spam and other electronic threats that lead to harassment, identity theft and fraud. Businesses, charities, and not-for-profits of all sizes are at risk if they do not comply with CASL regulations. Having a risk-reducing strategy, such as a CASL compliance program, will help reduce the likelihood of violations, which can cause significant monetary loss if fined due to non-compliance. If someone does present a complaint, the program will help businesses establish a due diligence defence when the case is investigated. Steps below are recommendations on how a small businesses or not-for-profit can create a simple program to assist them as they do their due diligence in meeting the requirements of the Canadian Anti-Spam Law. This person’s role will be responsible for the CASL compliance program for your organization; to be aware of the requirements, including any future changes, and ensure that the policies and procedures are in place. The first task of the CASL compliance officer should be to conduct an assessment to see what procedures and policies of the organization must comply with CASL regulations. To help reduce the risk of being non-compliant, the point person in charge should then adjust or create new policies and procedures to ensure the organization is following the CASL regulations. These should be put into writing and made accessible to all levels of the organization, especially management. The person in charge should review the program regularly and update as needed. create a mechanism so that employees can provide feedback into the program. Note: The information in this blog should be considered guidelines only. A full letter of the law can be found here. A summary of the Canadian Anti-Spam Law can be found on a previous article written here.